eight − = 7 Required Please enter the correct value. The U.S. marijuana industry is booming. Medical marijuana is now legal in 23 states and the District of Columbia. Recreational use is legalized in four states, with others eyeing legislation. 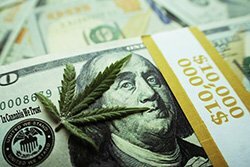 Research firm GreenWave Advisors estimates the U.S. market could be worth $35 billion by 2020 if it is legalized federally. But that industry growth has come with a dangerous trend: Pot stocks are scamming investors by trying to pass themselves off as the next hot marijuana startup. This has become so common in fact, the SEC has issued several warnings. In May 2014 the commission sent an investor alert warning of marijuana-related investments because "fraudsters often exploit the latest growth industry to lure investors with the promise of high returns." That leads to companies changing names or business plans completely. A company that once had nothing to do with pot tries to pass itself off as a major player in the market. 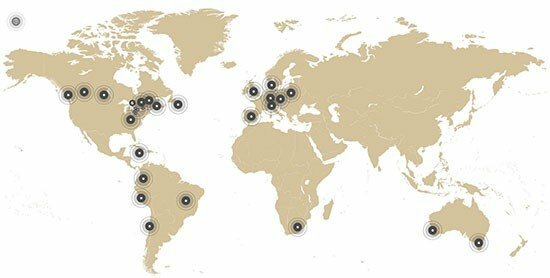 MediJane Holdings Inc. (OTCMKTS: MJMD) describes itself as a distributor of transdermal patches, capsules, and sublingual sprays in the medical marijuana industry. 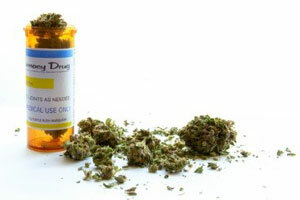 It provides smokeless alternatives to patients with marijuana prescriptions. The first red flag is the company's name change. The firm was formerly known as Mokita Inc. as recently as March 2014. Suspiciously, the company is filed with the OTC Markets under the "Crude Petroleum and Natural Gas" industry code. The company also offered a 10-to-1 stock split in late 2013. The company's financial reporting is worrisome too. In a November 2014 financial statement, MJMD reported just $8,000 in revenue. On top of that, it has just three employees. Following the name change, a promotional advertisement from "Undervalued Quarterly" touted the potential of pot stocks like MJMD with gains of "381%… 592%… 768%… or higher." Shortly after, shares of MJMD climbed as high as $1.53 in March 2014. They had been worth just $0.34 earlier that month. Today, they are worth less than $0.01 each. This activity mirrors that of a "pump-and-dump" scheme, one of the worst penny stock scams on the market. Pump and dump schemes are when penny stock promotors create excitement around a hot, new company and push the share value higher. At that point, the shares are unloaded for a huge profit. Those who were duped are left with worthless shares. This is the biggest scam. These solar companies are either propped up by enormous subsidies or cheap panels from china. It a house of cards and vehicles don't run off the grid except electric. and they don't go very far nor haul much.